The story of India’s Deobandi school of Islam, which has inspired both a peaceful global missionary movement and the Taliban. Owen Bennett Jones tells the story of India’s Deobandi school of Islam, which has inspired both a peaceful global missionary movement and the Taliban. Around 150 years ago in the sleepy Indian town of Deoband, a group of Muslim scholars gathered under a spreading pomegranate tree and began to teach. With India under British rule at the time, they feared that their faith would be erased, and so they began a mission to preserve Islam in its purest form. Today Deoband is the most important seat of Islamic learning in South Asia – the town’s seminary, the Darul Uloom Deoband, informing millions of Muslims around the world on how to adhere to its strict, orthodox interpretation of Islam. 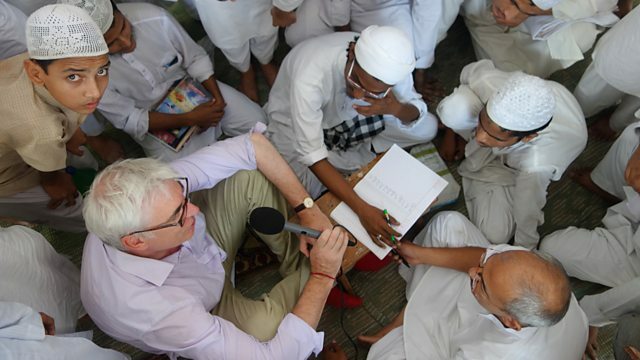 In the first of two programmes, the BBC’s former Pakistan correspondent Owen Bennett Jones pays a rare visit to the Deoband seminary, where he speaks to senior scholars about its teachings and influence. He meets students abiding by its austere lifestyle, free of television and mass media - but not necessarily free of temptation. While seemingly peaceful and pious, the religion practised in Deoband is in stark contrast to Deobandi Islam in Pakistan where it has provided spiritual inspiration for many militant groups. So how can a single school of thought take such different paths? Is it a perversion of the true faith - or do Deobandi teachings actually encourage intolerance?